Jess was honored to be selected to perform in May 2004 for the Philadelphia Affiliate’s charitable event benefiting the Susan G. Korman Breast Cancer Foundation. While at Moorestown High School, she was a featured dancer in a number of spring musicals, including “Brigadoon” and “The Pajama Game.” Following her college graduation with a major in graphic design, she has been able to enjoy a career in the field of graphic design as well as making her dance classes a place where students want to further themselves–and she succeeds! 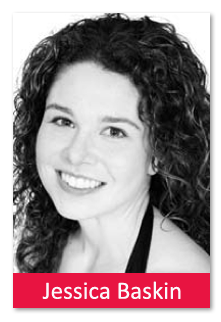 As a teacher, Jess’s aim is to provide dancers with a level of training that will put their dreams of dancing with the Marcia Hyland Dance Company or moving on to a career in dance within reach. Her personal goal is shared with husband, Brian, focusing on the joy they share raising 2 1/2 year-old Lacey!